The New England Patriots are back in the Super Bowl for the ninth time in the Bill Belichick-Tom Brady era. The incredible run for coach and quarterback started back in the 2001 season, when Brady took over as starting quarterback and led the Patriots to their first Super Bowl title. 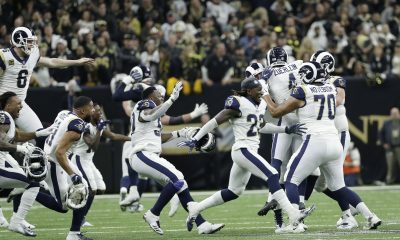 Their opponent 17 years ago in Super Bowl XXXVI was the Rams, who called St. Louis their home from the 1995 through the 2015 seasons before relocating back to Los Angeles where the team had played from the 1946 season through the 1994 season. Back in 2002, the Rams were back in the Super Bowl for the second time in three years and favored to beat the Patriots. Their offense included Kurt Warner. Marshall Faulk. Isaac Bruce and Torry Holt. 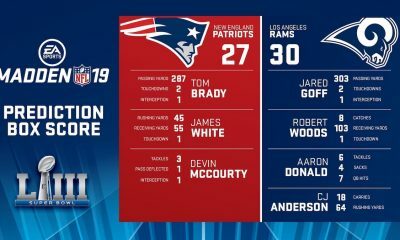 They were the Greatest Show on Turf, but the Patriots beat them, 20-17. Since February 3, 2002, the fortunes of the teams have been very different. In the ensuing years, New England has become the greatest dynasty in football history. Since 2001, the Patriots have won 220 regular-season games, 16 AFC East titles and are 29-10 in playoff games. The Rams, meanwhile, haven’t been back in the Super Bowl since that then. They missed the playoffs in the 2002-2003 season, and lost in the divisional playoff round the next two years before missing the playoffs for 12 consecutive years without having a winning season. 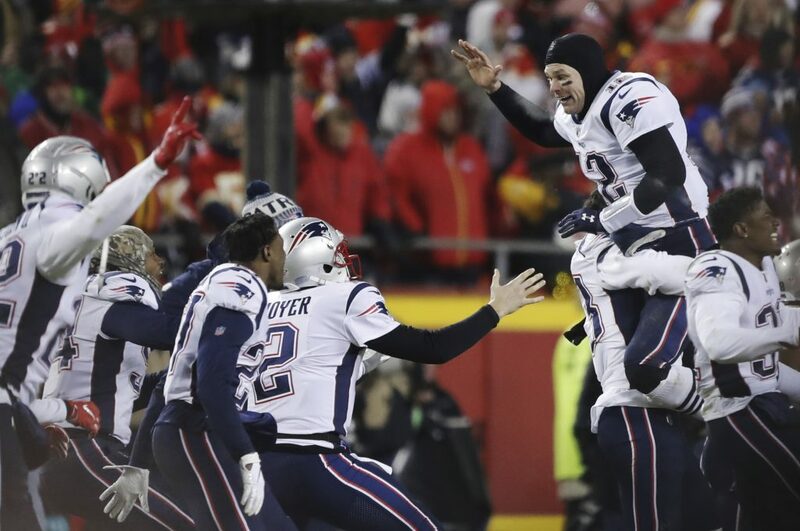 The Patriots opened as a Super Bowl underdog. 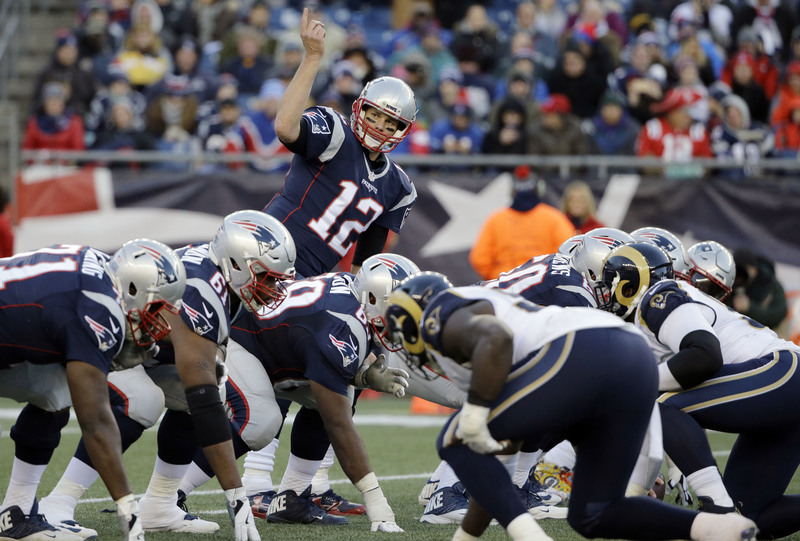 But a flood of money came in on Brady’s team, and the line went as high as Rams +2. If the Patriots close as underdogs, it would be the first time they’ve held that distinction in a Super Bowl since the last time the played the Rams. The Super Bowl traces its roots back to January 15, 1967. On that day, U.S. military and the South Vietnamese army were fighting Vietcong and North Vietnamese forces in the Mekong River delta, and the Monkees’ “I’m a Believer” was the top song on the radio. Super Bowl I between National Football League’s powerhouse Green Bay and the American Football League champion Kansas City was aired on both CBS and NBC. NFL games were carried on CBS then, and NBC aired the AFL games. The Chiefs kept it close for a half but lost 35-10. Two years later, the New York Jets of the AFL defeated the Baltimore Colts of the NFL 16-7 in a stunning upset that Jets quarterback Joe Namath had guaranteed in spite of being a 18-point underdog. The upstart league won the next two games and were finally taken seriously. In spite of three straight Super Bowl victories, the undefeated Miami Dolphins were 2-point underdogs before beating the Washington Redskins 14-7 in 1973. 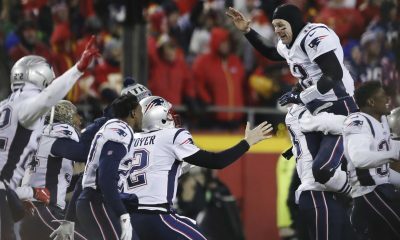 Forty-six years later, no NFL team has ever completed an undefeated season – although the Patriots came close 11 years ago. The 2007-2008 Patriots team in its 8th season under Belichick, won 16 straight regular season games and two playoff games to enter Super Bowl XLII 18-0. On the brink of making history, and starting the game as 12-point favorites, the Patriots lost to the New York Giants, 17-14. While the Patriots have the most Super Bowl berths (11), the Dallas Cowboys are tied for second with eight. The Cowboys, who won their first Super Bowl in 1972, have won the world championship five times. But the last time was 23 years ago, when Dallas beat Pittsburgh 27-17. It was forty years ago when Roger Staubach and the Dallas Cowboys battled Terry Bradshaw and the Pittsburgh Steelers in what many consider to be the best Super Bowl of all times. The Cowboys lost 35-31 after Jackie Smith dropped an easy pass in the end zone. 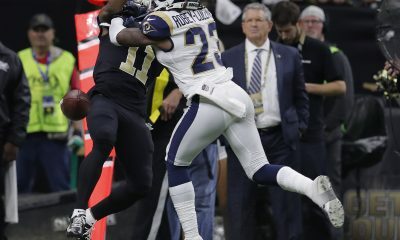 The Cowboys hopes of earning their sixth championship ring in 2019 ended in Los Angeles on January 12th when they lost to the Rams 30-22. The Cowboys had advanced to the divisional round for the first time in four years, defeating the Seattle Seahawks 24-22 the previous week. The Houston Texans finished the 2018 regular season with an 11-5 record, which was good enough to win the AFC South. After losing the first three games, the Texans won nine straight but bowed out in the first playoff game, losing 21-7 to the Indianapolis Colts. Read Thomas L. Seltzer’s blog daily at www.doubtingthomassports.com. Article Sponsored by The Lodge Poker Club & Card House. We feature over 20 tables – Daily cash games and Tournaments. Right off of I-35. Private Rooms, Free Coffee, Comfortable Seating, 30+ Big Screen TV’s, Experienced Dealers. Special Monthly Tournments. Daily Tournaments. Best Dealers in Texas. Cash $ Games Daily.